Legislative leaders and Gov. Tim Walz laid out a new set of deadlines Monday they say will achieve an orderly end to the legislative session. In every legislative session, legislative leaders set deadlines to get bills through committees and onto the House and Senate floors. Deadlines for 2019 were announced on Feb. 5. The new dates announced at a press conference by Walz, House Speaker Melissa Hortman (DFL-Brooklyn Park) and Senate Majority Leader Paul Gazelka (R-Nisswa) are additional deadlines that focus on moving bills forward after they have passed out of House and Senate. All three officials said the goal of these additional deadlines is to bring public transparency to the conference committee process and to ensure that legislative decisions will be made in public. 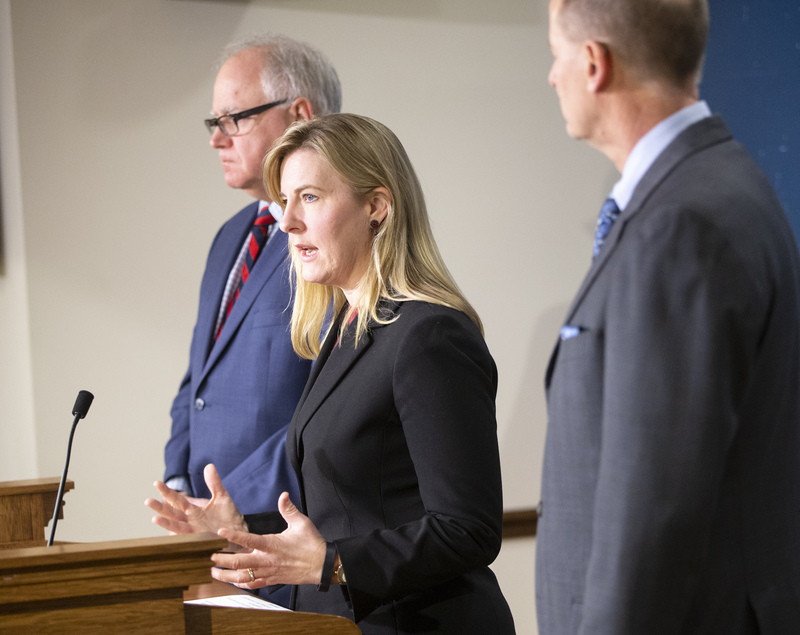 “Minnesotans and their elected representatives and senators deserve a better process than having three or five leaders in a back room deciding everything in the last few days of session,” Hortman said. “The public is looking for the [legislative] process to work and looking for a healthy debate,” Walz said. He thinks these changes will lead to “much healthier, more substantive policy debates” and more engagement with the public. All three leaders were careful to specify exactly how these new deadlines will work in practice.